Pamper yourself and unwind in our beautiful spa with indoor pool, fitness area and wellness center. We offer a selection of beauty treatments and massages provided by an expert in a cool and relaxing ambiance. 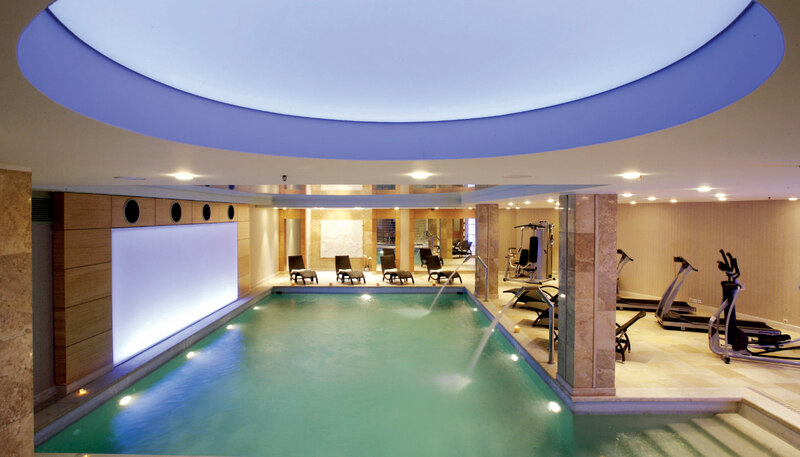 Our wellness center includes a steam bath, an indoor heated pool with overhead waterfalls to release the stress, state-of-the-art machines and convenient loungers.